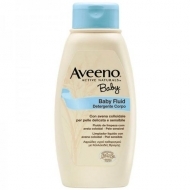 Moisturizes the skin and leaves hair soft, shiny and easy to comb. 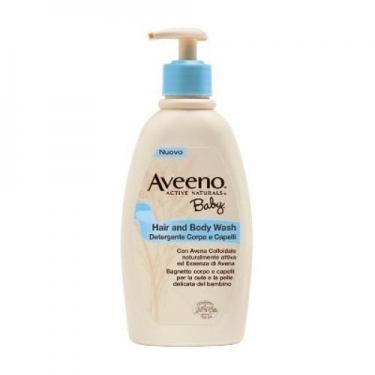 DESCRIPTION: Baby Hair & Body Wash from Aveeno is a cleansing gel for the care of sensitive skin and scalp of the baby and the new-born. Formulated with naturally active colloidal oats and oatmeal (avenanthramides) that gently cleanses and moisturizes the baby's skin. The texture of colloidal oats and their beneficial components such as proteins, lipids and saponins make it suitable for use in moisturizing creams, cleansing gels and other products that help to clean, smooth and protect the skin. Suitable for daily cleansing of sensitive skin of new-born, baby and child. No soap, alcohol or parabens. Hypoallergenic (formulated to minimize the risk of allergies). Massage gently on wet skin and scalp, rinse well.